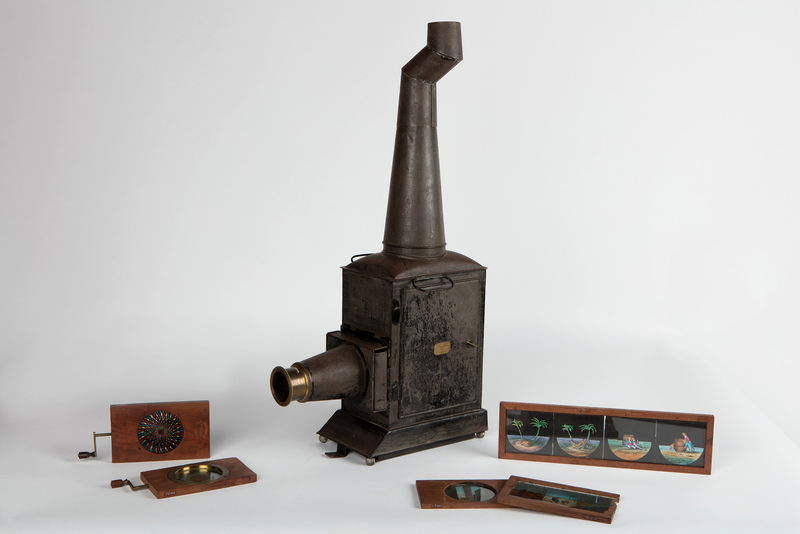 The inventory of furniture, household goods and domestic paraphernalia accumulated over several generations at Rouse Hill House includes a magic lantern with an associated collection of lantern slides. 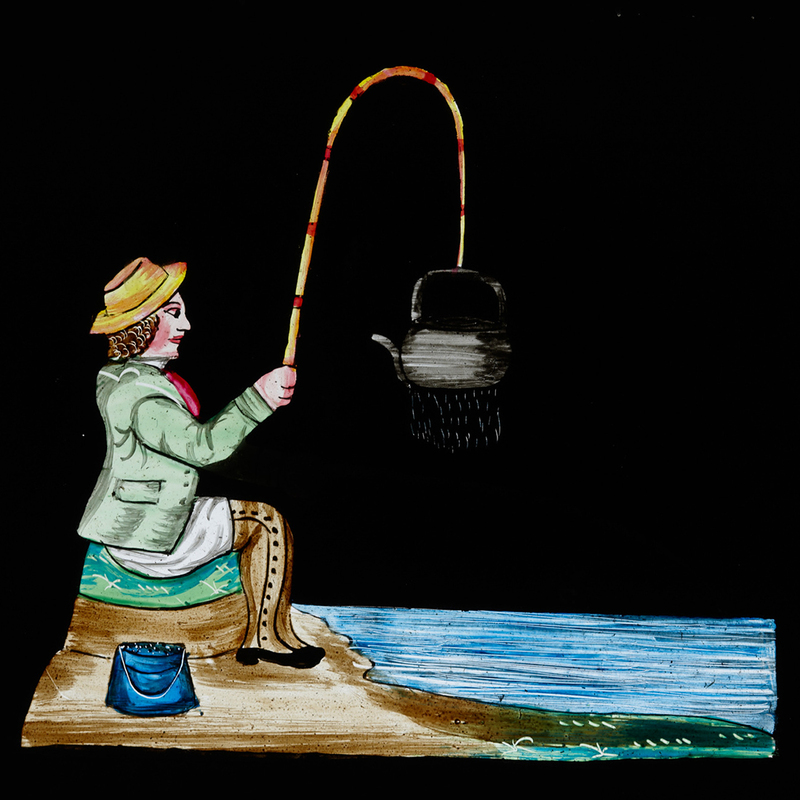 As a form of image projector the magic lantern dates to the 17th century and by the 18th century had become a common form of education and entertainment in England and Europe. 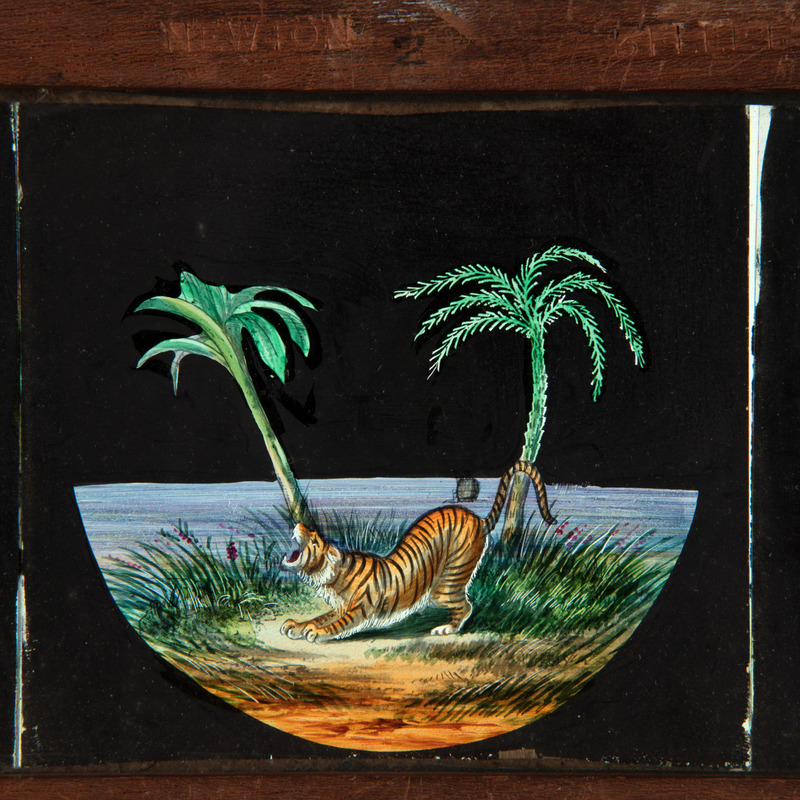 Lanterns and slides were advertised for sale in the Australian colonies from the early 19th century. The Rouse Hill House lantern is a mid-century example. The lantern case has lost much of its black japanned finish; several slides are broken; and the mechanism of the rack & pinion slides no longer works. All defects that bear mute witness to the lantern’s use by successive generations of the Rouse and Terry families, starting with the household headed in the 1860s by Hannah Rouse (1819-1907). Hannah’s husband, Edwin Rouse, died in early 1862, leaving Hannah with five children whose ages ranged from 12 to 20. The lantern was almost certainly introduced into this household by Hannah’s sister-in-law Eleanor Wingate (nee Rouse) and Eleanor’s husband Major Thomas Wingate. Wingate, a retired British army officer who had served in Ceylon (Sri Lanka) and India, was a keen amateur photographer. The Wingates set sail for France and England in March 1862 reaching London in time to visit the London International Exhibition (May-November 1862) where Thomas Wingate exhibited a panoramic photograph of Sydney Harbour. They arrived back in Sydney in January 1864, followed by dozens and dozens of packages. Two years later, on Anniversary Day 1866 (26 January), the Rouse Hill lantern featured in a gala day held at the local school, a denominational school associated with Christ Church Rouse Hill. Hannah and her late husband were the leading local patrons of Christ Church and of all undertakings connected to the Church of England. 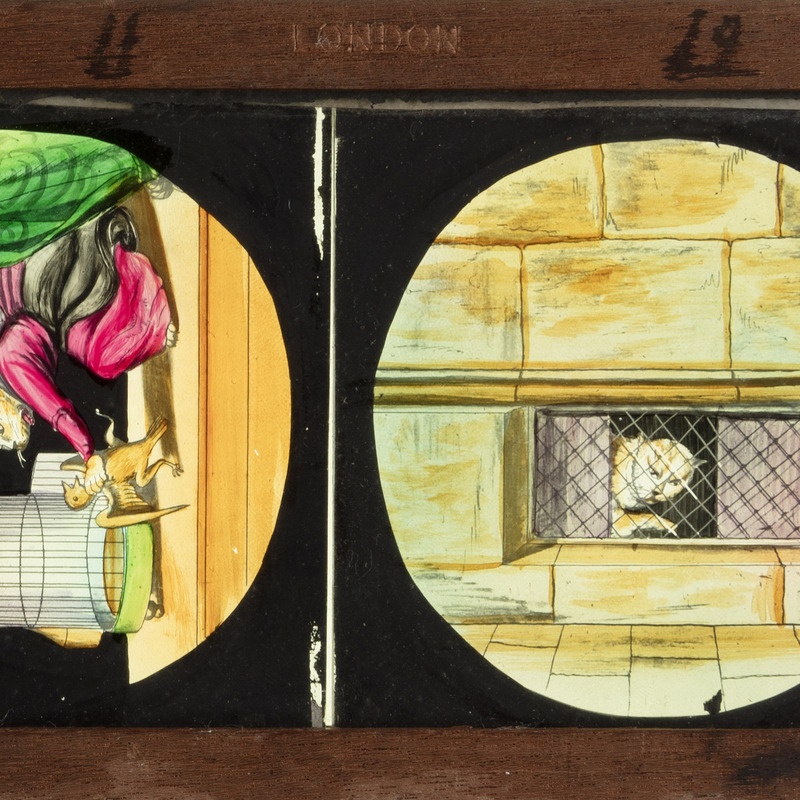 The 1866 Anniversary Day program promised a magic lantern show using a pair of lanterns, known as a dissolving view apparatus. When the show’s operator failed to arrive, the “machinery on the spot”1 – in other words the Rouse Hill House lantern – came to the rescue and was used to project three slide sets, accompanied by narration, to “a very crowded and demonstrative audience”. 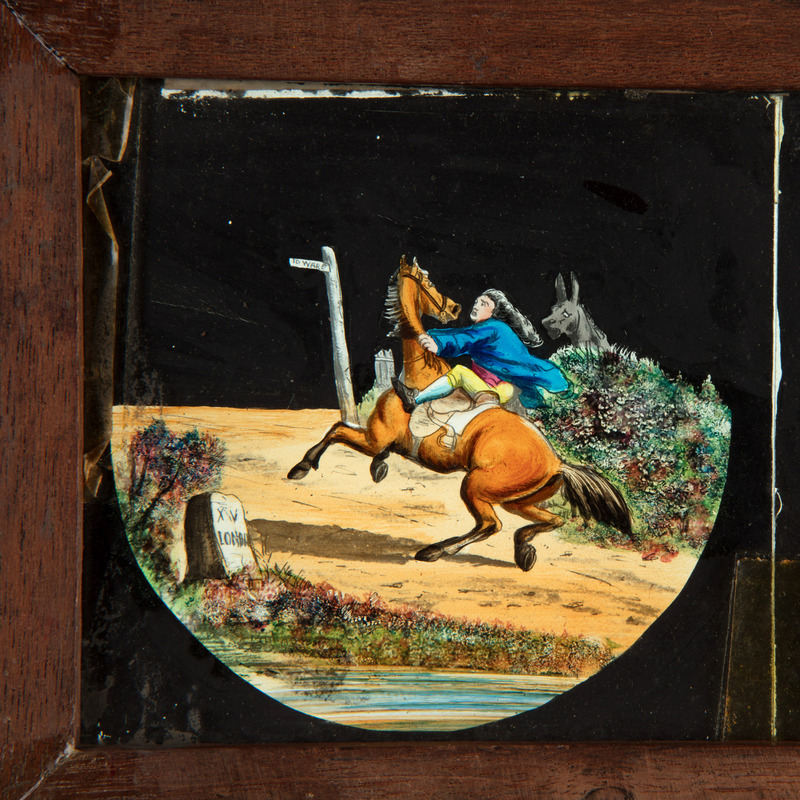 One of the sets, Pilgrim’s Progress, no longer survives in the Rouse Hill House collection but the other sets are still in-situ and intact: the adventures of John Gilpin and the New Tale of a Tub. 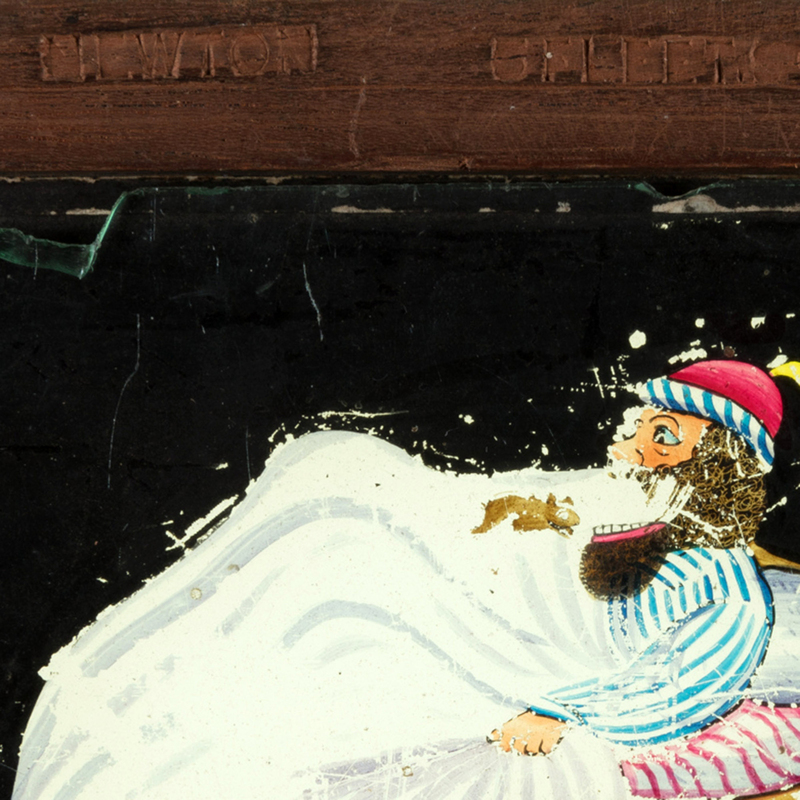 Here we present the Rouse Hill House Magic Lantern and some of its associated slides, along with selected stories and animations. 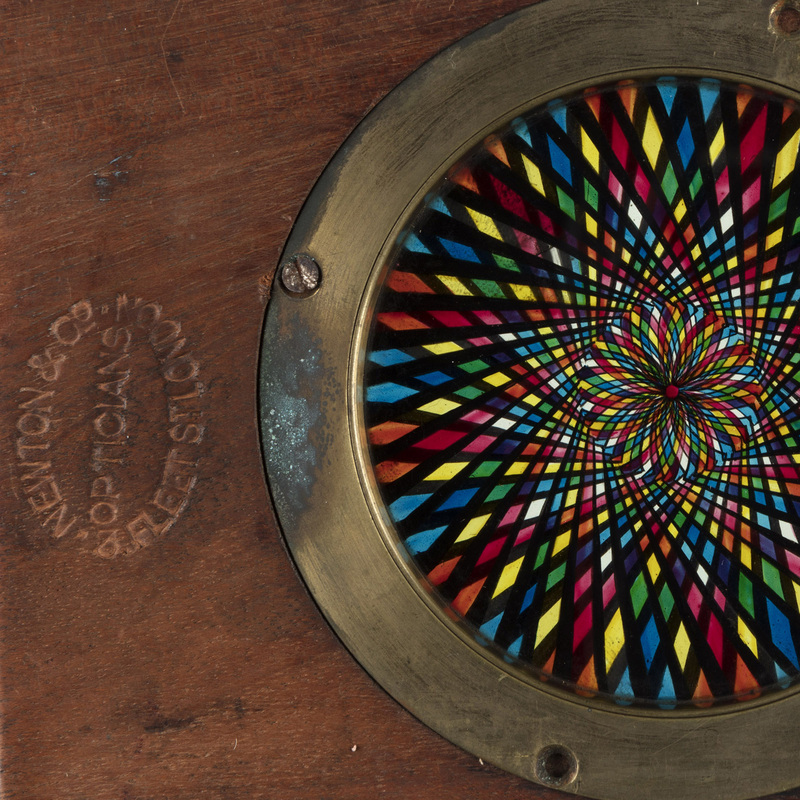 See all the components that make up the magic lantern at Rouse Hill House, which was manufactured by Newton & Company, Opticians, Scientific Instruments and Globe Makers of Fleet Street, Temple Bar, London. As Curator of Digital Assets, Holly combines her interests in photography, history and digital imaging technologies.